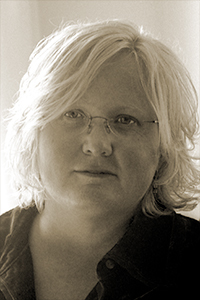 Amy Tudor is the author of A Book of Birds (Briery Creek Press, 2007), which won the 2008 Liam Rector First Book Prize for Poetry. She is also the author of two chapbooks, The Land of Intention (Devil’s Millhopper Press, 1996) and The Professor of Bees (Finishing Line Press, 2011). Her poems, short stories, and essays have appeared in The Antioch Review, CONSEQUENCE, New Southerner, and WLA: War, Literature & the Arts. She teaches in the Interdisciplinary Core program at Bellarmine University.